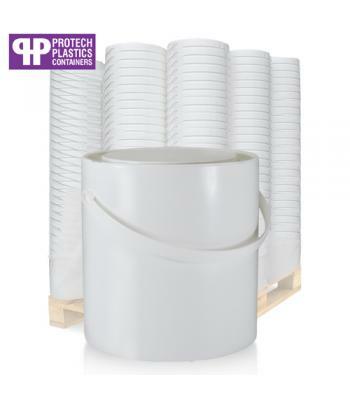 With over 40 years experience in the packaging industry, Protech Performance Plastics know how to make a high quality plastic bucket. 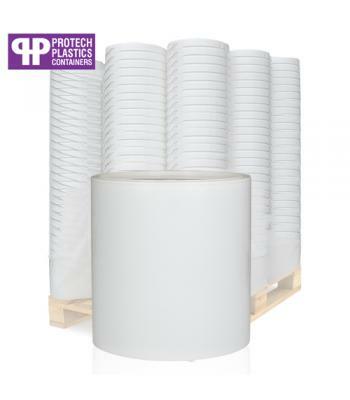 As one of Europe's leading packaging manufacturers, Protech follows rigorous quality control standards and they are committed to sustainability. 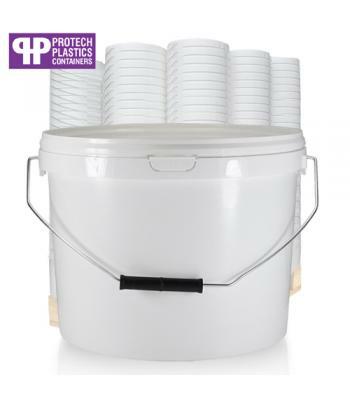 This results in a reliable range of buckets that will protect your product, with tamper evident lids for added security and customer reassurance. 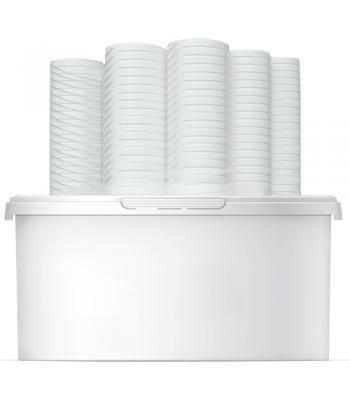 The 3 litre and 5 litre buckets come with white plastic handles for easy carrying, while the 10 litre bucket has a metal handle, with plastic roller grip for comfort. 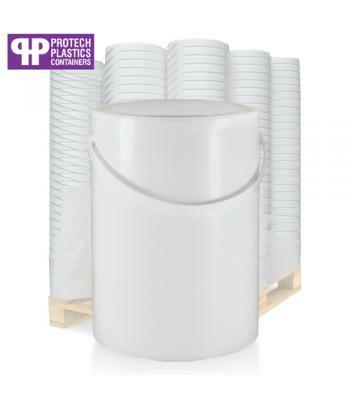 Also available are plastic paint containers, in 1 litre, 2.5 litre and 5 litre sizes, including push down lids (non tamper evident). 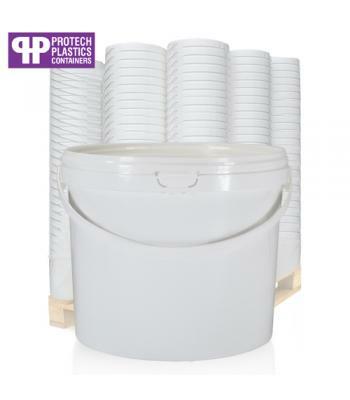 The buckets are made from smooth white polypropylene (PP) plastic, which is food grade approved. 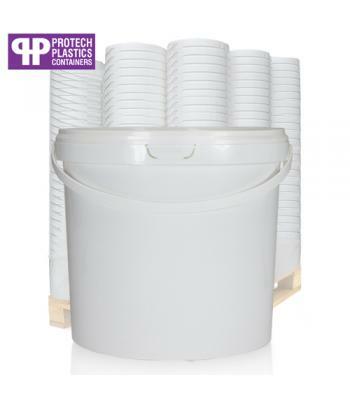 The raw materials used in these buckets are also REACH compliant and they meet FDA regulations. 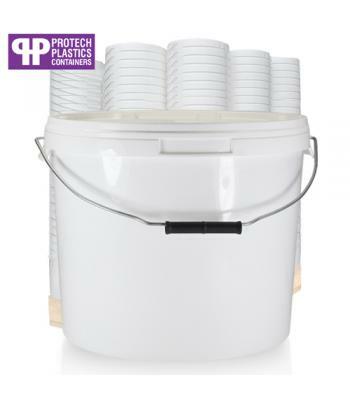 All of these buckets are suitable for resins, adhesives, cleaning agents, coatings, condiments, dairy products, aggregates, oils and greases, sand, DIY materials, fishing baits and much more.